Light summer boonie hat "Saigon". 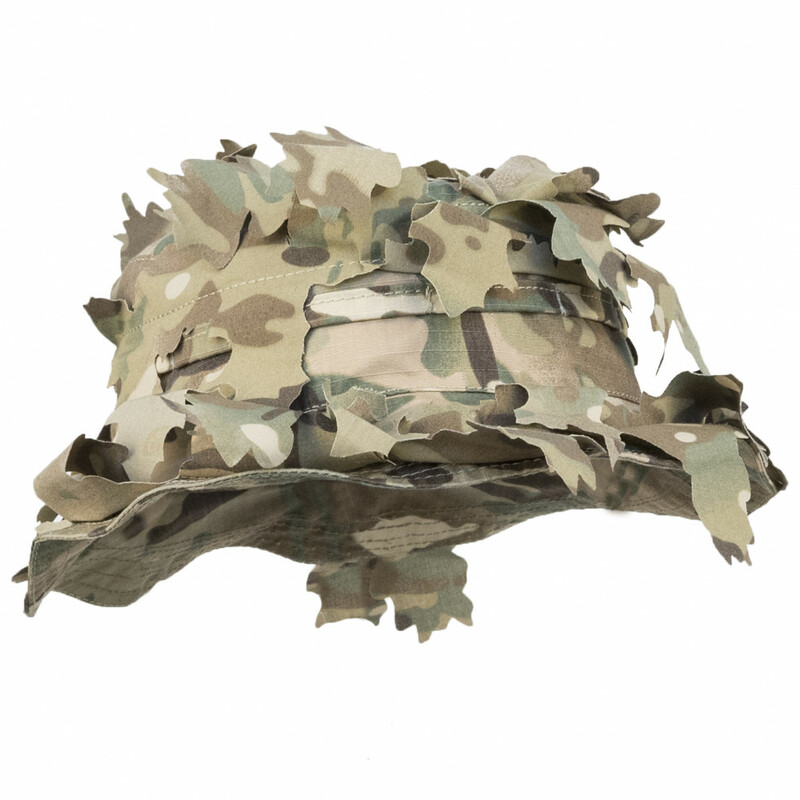 Created for Russian Special forces it comes with camo leaf system and includes additional loops for attaching natural vegetation. Perfect headgear to break the silhouette of the user. Universal size adjusts from 54 to 62 via internal rubber band.